However, before you shoot off a long survey to your email database, you might want to consider a few things that will drive up response and make sure you’re not being a nuisance. 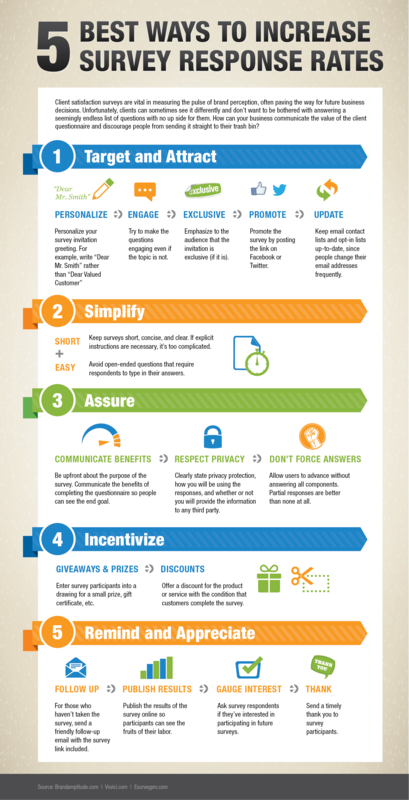 Check out the infographic below for 5 Ways to Increase Survey Response Rates, and then when you’re ready to send your first (or next!) survey, send it through Demandforce! Demandforce offers customers the ability to send patient/client surveys directly from our easy-to-use online platform. To see a demo of Demandforce, call us at (888) 272-7821 or visit demandforce.com.